The Friends are an important part of the Suffolk Craft Society. We are a group of people keen to support the work of craftspeople and our loyalty and enthusiasm are greatly appreciated. We help to promote excellence and appreciation of craft skills. Our subscriptions and fund-raising activities help to support the Society. This might involve seed-funding for new initiatives or educational work, support for Private Views or publicity, amongst other things. A senior member of the Friends sits on the Society's Committee to reflect the Friends interests and enthusiasms. Many Friends also assist in practical ways by helping to supervise exhibitions and workshops. This kind of involvement is an invaluable help to the Society - please let the Secretary know if you are interested. Friends receive regular newsletters, access to all Society information on our website, free entry to SCS exhibitions when charges apply, invitations to Private Views and an invitation to the AGM lunch – an enjoyable social occasion and an opportunity to meet Makers. Friends and Makers are invited to a special Preview of the summer exhibition at Aldeburgh. Last but not least, Friends are entitled to a 10% discount on purchases at the summer exhibition in Aldeburgh (excluding cards and printed materials). In joining the Friends you are consenting for your name and contact details to be used by the Friends of Suffolk Craft Society for the purpose of sending you information about our events, Society exhibitions and about the Society and its members. Newsletters are sent via the Mailchimp platform. We do not use your data for other purposes and do not share it with other organisations. If you no longer wish to receive newsletters you can unsubscribe at any time using the link at the bottom of each newsletter. 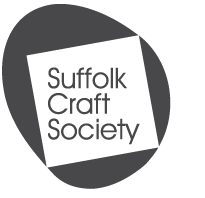 If you wish to review or change the contact information we hold for you email your request to friends@suffolkcraftsociety.com. To apply to become a Friend, please complete this form and submit it back to us, we will then advise you where to send your payment (£25.00 single membership / £35.00 double membership). Alternatively , download the Friend's application form and post with your payment to the address on the form.